Happy holidays everyone! I figured that I would share this awesome brownie recipe sooner rather than later… So here we go! 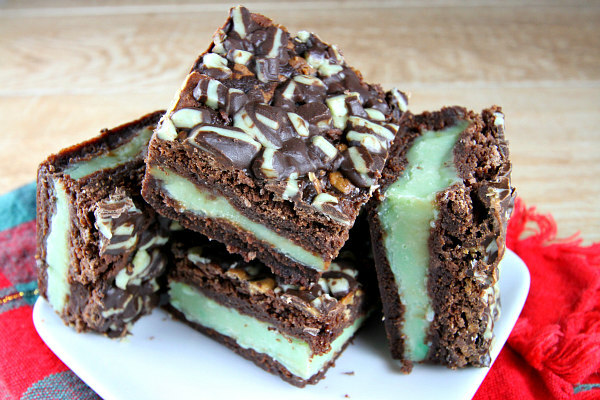 These are the Mint Fudge Stuffed Brownies. 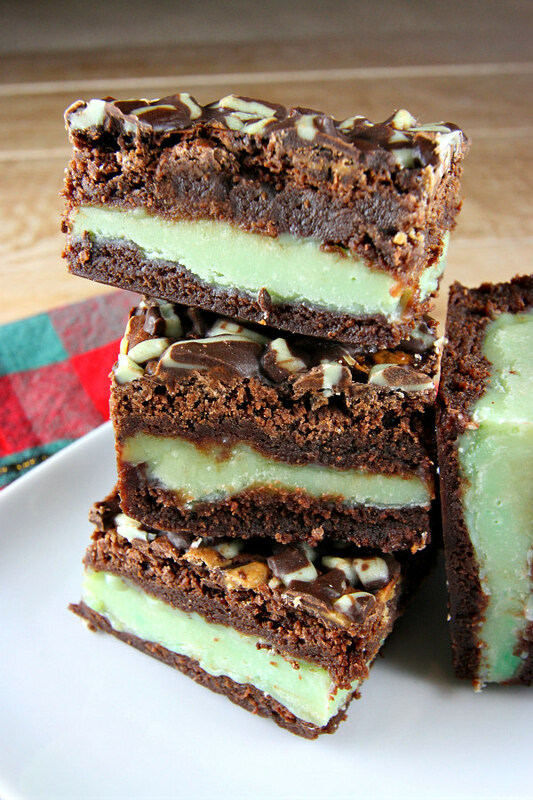 Mint and chocolate are the two biggest flavors during the holiday season. When they meet in a recipe, you better throw a party! So is this recipe worthy of serving all the relatives this winter? Yes, yes it is. 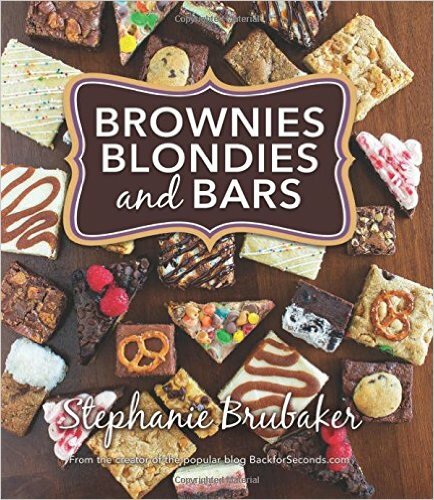 This recipe comes from the cookbook Brownies Blondies and Bars by Stephanie Brubaker (the perfect last name for a recipe developer/cookbook author). The middle layer (the green one) called for mint extract in the recipe, but I didn’t have any. I decided to skip it, and it still turned out great. So if you don’t want to taste a lot of mint, simply do not add the mint extract to the middle layer. The brownies turned out great. 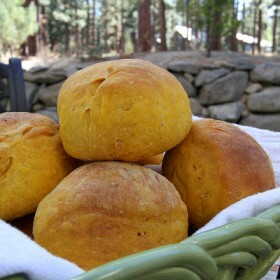 Fairly easy to make with an outstanding final product. There is a perfect ratio of chocolate to mint. 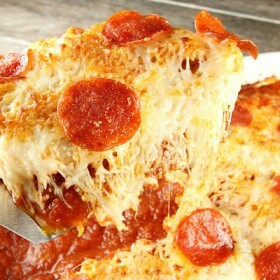 Keep this recipe in mind this holiday season… It is definitely a crowd-pleaser that will not disappoint. 1. Preheat the oven to 350 degrees F. Line a 9x13-inch baking pan with foil- enough to hang over two edges. Spray lightly with cooking spray. 2. Prepare the brownies: In a microwave-safe bowl, melt the butter and chocolate in the microwave-- 30-second bursts, stirring between bursts, until melted and smooth. Whisk in the cocoa powder until completely incorporated. Add sugar, brown sugar, vanilla and salt, whisking to combine. Whisk in theeggs, one at a time, until completely mixed through. Gently whisk in the flour just until incorporated and no more flour is visible. The batter will be thick. 4. 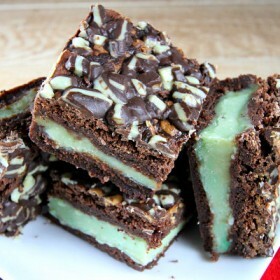 Prepare the mint fudge: In a separate bowl, heat the white chocolate and condensed milk in the microwave in 30-second intervals, stirring between each burst, until melted and smooth. Add mint and food coloring, and stir to combine. 5. Assemble the brownies: Spread half of the brownie batter evenly into the prepared pan, and carefully spread the fudge on top. Gently spread the remaining brownie batter evenly over the fudge. Sprinkle 1 cup of the chopped mints over the top. 6. Bake for 30 to 35 minutes or until the brownies are set and the edges start to slightly pull away from the pan. We sprinkled a few more chopped mints on top as soon as they came out of the oven. Allow to cool, then refrigerate until completely set- at least 2 hours.